Drinking too much coffee is also bad for my bruxism and keep me dehydrated all the time even when I drink enought water. 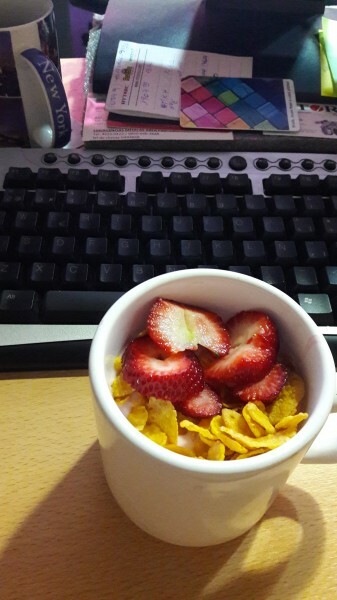 I went to the market, near my work, and I bought yogurth, cereals and strawberries... I'm replacing one coffee for this, and it will be very hard but I can do it.